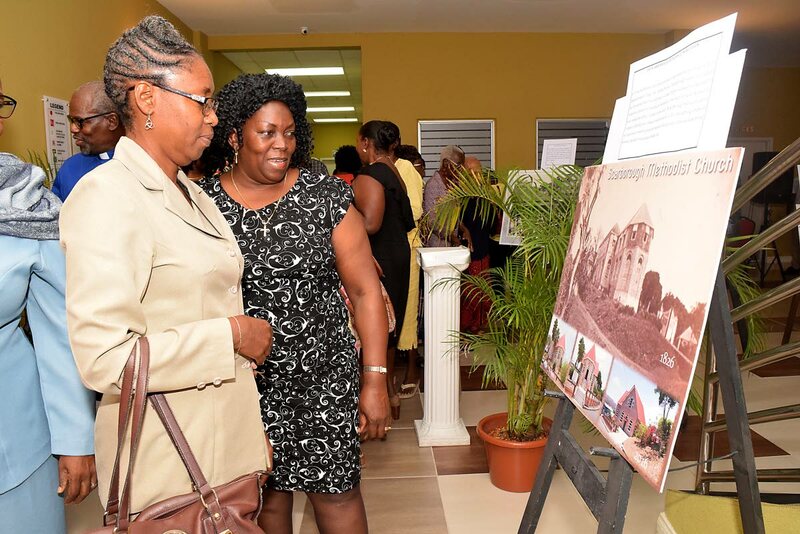 Reverend Janice Soyer- Delaney, left, and Reverend Esther Moore-Roberts, chairman of the Tobago Christian Council, Moravian Church view a photograph of the evolution of the Scarborough Methodist church at the opening of the exhibit "A Rich Legacy: 200 years of Methodist Contribution to Tobago" at the Scarborough Library on July 17, 2018. PHOTO BY VIDYA THURAB. 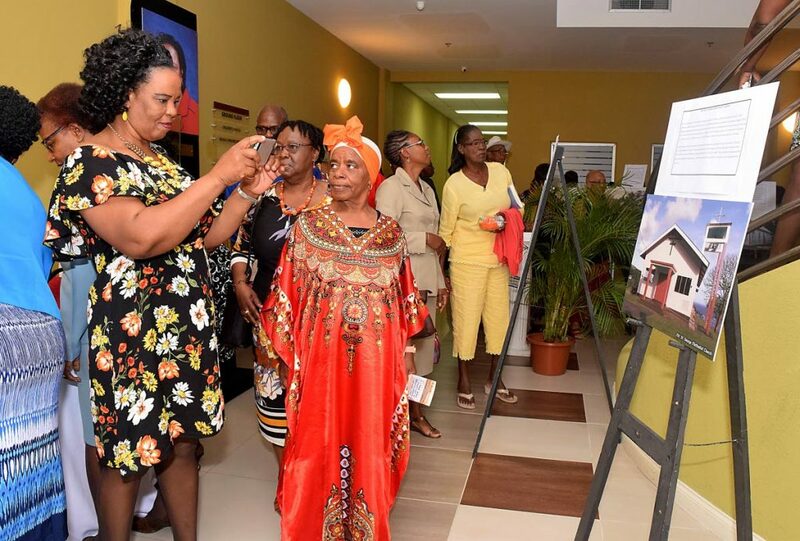 THE METHODIST CHURCH–Tobago Circuit launched a heritage exhibition as part of their 200th anniversary celebration at the Atrium of the Scarborough Library on Tuesday evening. 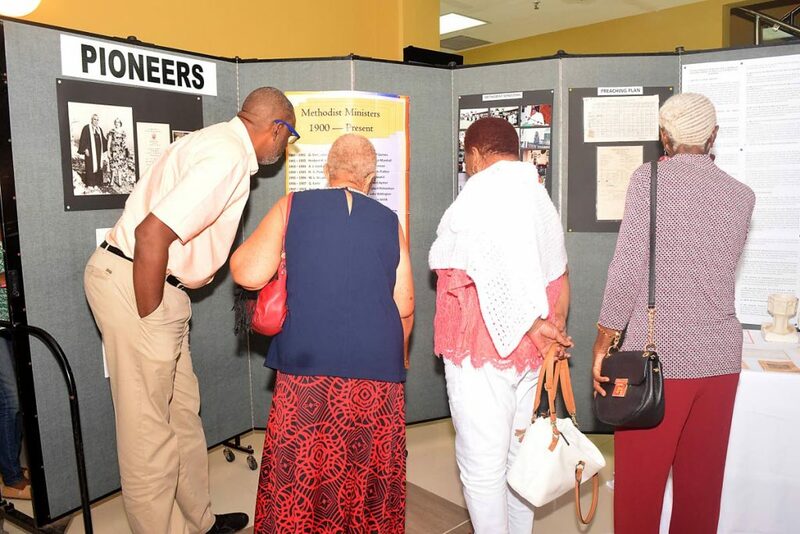 The exhibition, under the theme, "A rich legacy: 200 years of Methodist contribution to Tobago (1818-2018)," featured published materials on Tobago’s general history highlighting the role of Methodists and the history of the church on the island. 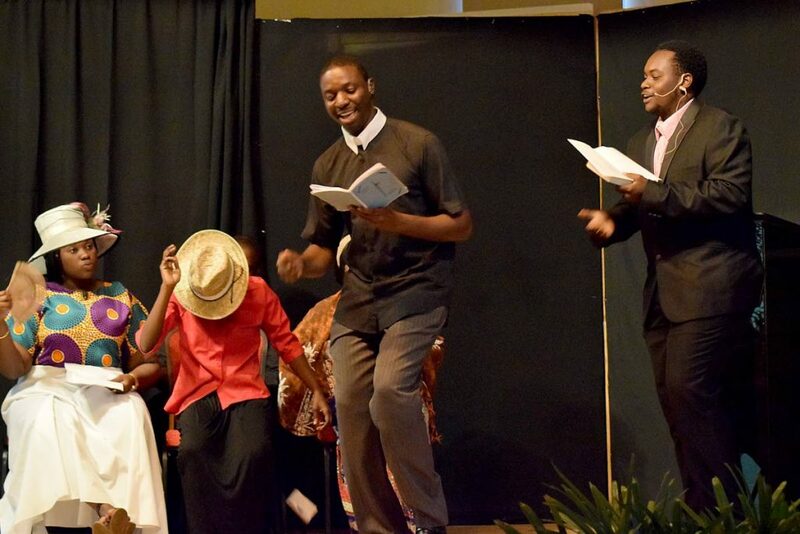 At Tuesday's launch, Superintendent Minister Reverent Philbert Delaney, in his welcome, encouraged those gathered to embrace the church’s history, saying 2018 had indeed been a watershed moment for the Tobago circuit. “I want us to see it as a time when we not go back to look at history and embrace history, but I want us to see in what way the past is linked to the present,” he said. Later, chairman of the Tobago Christian Council and representative of the Moravian Church Reverend Esther Moore-Roberts greeted the audience and offered words of inspiration to those of the Methodists fraternity. She said, “Continue to fly high. Continue to blaze the trail. Continue to teach in your schools. Moore-Roberts went on to commend the Methodist Circuit on the exhibition initiative, noting that the creativity had unearthed quite a bit of history. “We want to commend you on your rich heritage, which you have not kept to yourselves. Some persons are not so willing to share but you have opened up everything. Sadly, we are becoming an island where people are drifting away from this kind of learning." In remembering when Moravians introduced education to the island, Moore-Roberts said graphics and pictures were used in teaching for better results. The exhibition, that opens daily until August 1, features pictorial representations of historic and modern Methodist buildings on the island, the doctrine, practices, values and stories of the church embedded in the culture, as well as the way forward for the church and its vision for continuing integration in the lives of the Tobago people. Sister Claire Brathwaite-Alexander, chairman of the 200th year celebration, in her remarks at the launch, said there would soon be the establishment of a Tobago Methodist Heritage museum. “We saw ourselves functioning as not simply in this year of our 200th anniversary, but we saw ourselves functioning even beyond that, as keepers of the history. As persons who would take on the responsibility of ensuring that our heritage is researched, documented and kept somewhere so that other persons can be educated. 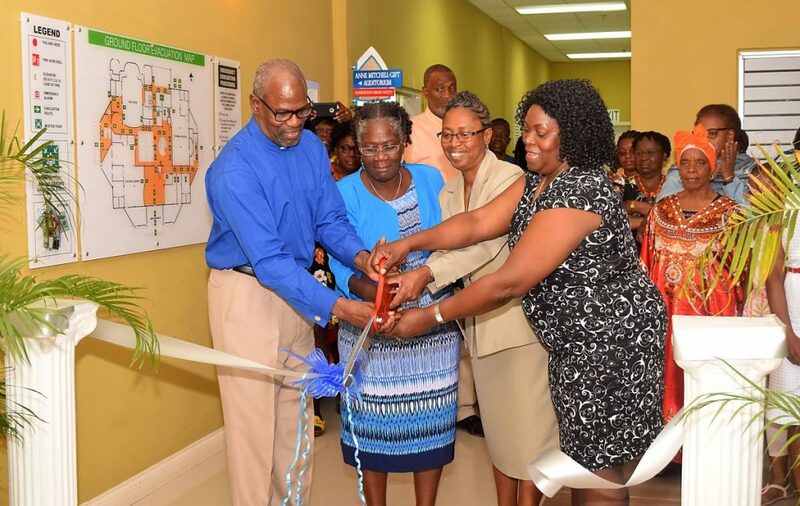 The formal opening was followed by the cutting of the ribbon after which guests were invited to browse the sections. The exhibition is open daily and will run until Emancipation Day. Reply to "‘A rich legacy’"